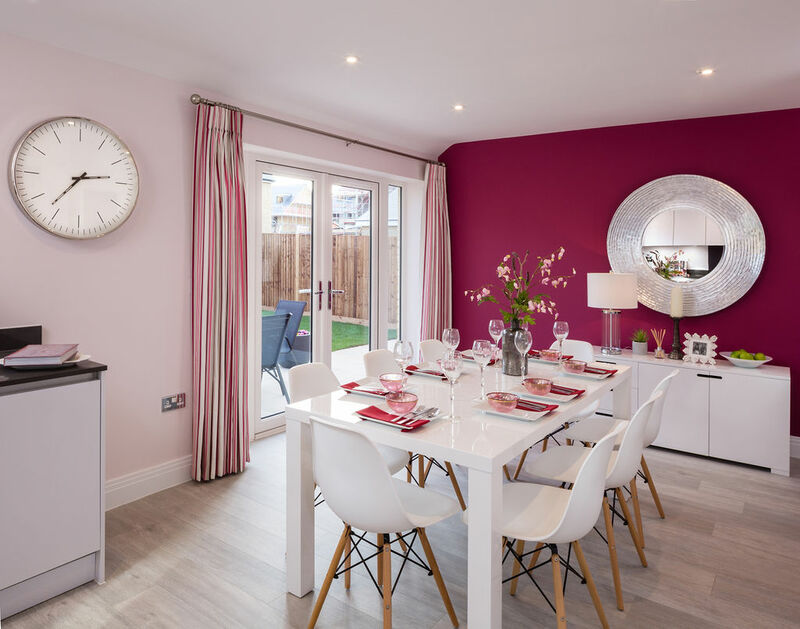 Located a short walk from the bustling town centre of Royston, Harvester Close is an exclusive collection of 19 three, four and five bedroom homes, each designed to offer the ultimate in modern family living. Show home open Thursday-Monday 10am -4pm. Alternatively viewings can be arranged via appointment, please call Royston Sales on 01462 656129, Thomas Morris on 01763 243331 or Intercounty on 01763 242528. With a Help to Buy: Equity Loan the Government lends you up to 20% of the cost of your new home in Royston, so you only need a 5% cash deposit and a 75% mortgage to make up the rest. Nestling on the northern slopes of the Hertfordshire Chalk Downs, just 43 miles north of London, the quaint market town of Royston is an ideal setting for a relaxed rural lifestyle. Bounded on all sides by a seemingly endless patchwork of lush farmland, its picturesque mix of character buildings and landmarks are a testament to the town’s rich heritage. The ancient Royse Stone, the ruins of an Augustinian Priory, the National Trust’s stunning Wimpole Hall – and even a medieval cave – each offer fascinating reminders of Royston’s past importance as a crossing point between the Roman Ermine Street and the prehistoric Icknield Way. Royston is equally appreciated for the contemporary stores and services lining its historic streets. Supplementing the eclectic range of independent retailers and high street names, the traditional twice-weekly market offers fresh produce and a whole lot more, while the town’s diverse selection of restaurants, cafés and gastro-pubs provide tastes from all corners of the globe. Further afield, many of the surrounding villages host charming country pubs, and the university city of Cambridge, just 14 miles away, is home to department stores, designer shopping and more sophisticated dining. Royston itself boasts a choice of primary schools, along with a ‘good’ Ofsted-rated academy and an ‘outstanding’ sixth form college. Other excellent amenities include a well-resourced library, a museum, a busy leisure centre, an award-winning park and its very own Picture Palace (every weekend, Royston Town Hall turns into a state-of-the-art digital cinema), while the thriving churches and various clubs and societies demonstrate the strong community spirit. From the May Fayre, the Royston in Blue fun run, the Kite Festival in August and the Arts Festival in September, there is something to keep every member of the family entertained throughout the year. Royston Heath (officially called Therfield Heath) is a Site of Special Scientific Interest, where you can take in the views, explore the woodland footpaths and chalk tracks, and perhaps spy the rare pasque flower.